Penthouse corner condo two bedrooms/two bathrooms with open floor plan and extensive views!This condo features airy cathedral ceilings and laminate flooring. Ceilings scraped and retextured; neutral fresh paint and crisp white cabinetry throughout. Kitchen and bathrooms with updated hardware and fixtures, and refinished tub/shower. Three sliding doors provide balcony access.Gated, underground parking, and secured entrance to building with elevator take you up to this condo. Association includes utilities of gas, water, trash, grounds maintenance. Plus, amenities of fitness/weights room, club house, tennis and sports courts, swimming pool, outdoor showers and spa. 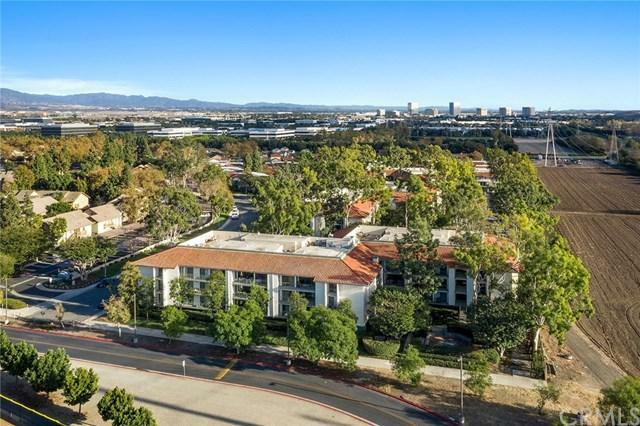 Centrally located to shops, restaurants, IVC, UCI, and Oak Creek Golf Course. IDEAL for first time home buyer, active retirement, IVC rental and general investment. This is a beautiful unit, in a great location, and Priced to Sell! Sold by Doris Lipscomb of Berkshire Hathaway Homeservice.